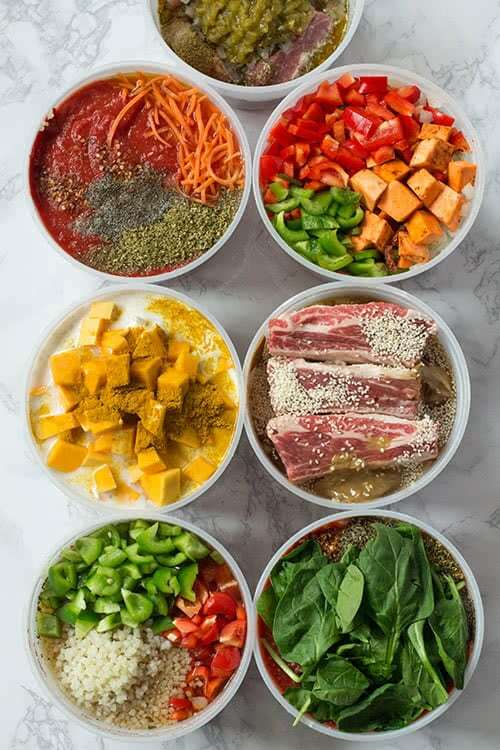 My general method for making freezer meals is combining all of the ingredients raw, so that’s how I make my Instant Pot freezer meals too. Combine all ingredients in freezer-safe circle containers (perfect shape for Instant Pot). I layer meat at bottom, veggies and seasonings in middle, and sauce on top so it’s dumped into the bottom of the Instant Pot. Add lid and freeze for up to three months. When ready to cook, place the frozen container in water for a couple of minutes so it’s easy to pop out of the container. Dump the container into the Instant Pot and sauté for 5 minutes to create some liquid. Also, if you ever have an Instant Pot flop that doesn’t cook all the way through or doesn’t reach pressure, just open the lid, press the “sauté” button, and finish cooking the meal that way. It’s the same thing as cooking it in a pan on the stovetop. 6-Quart Instant Pot. I own the 7-in-1 Instant Pot and I like it a lot. I use the “sauté” and “pressure cook” (manual) buttons for my freezer meals, so you should be able to make them in whatever model of Instant Pot you own. 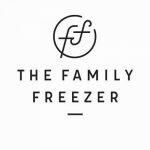 64oz Freezer Containers. I freeze most of my Instant Pot freezer meals in circle containers so I can pop them out and add them to the Instant Pot frozen. (This is a huge advantage over crockpot freezer meals, which have to be thawed slightly before cooking.) I own a 6-quart Instant Pot and these 64oz containers (half gallon) are the perfect size. 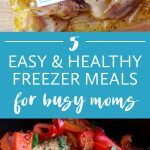 They’re also re-usable, BPA-free, dishwasher-safe, microwave-safe, and perfect for the freezer (good for up to -40 degrees). Yay! 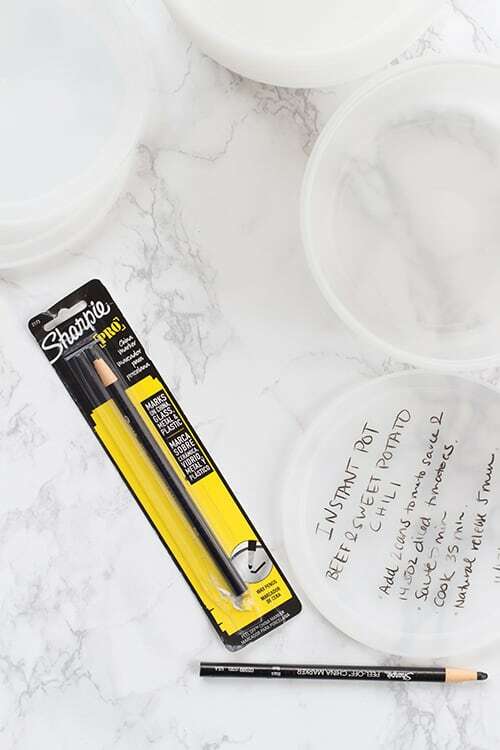 A Grease Pencil to Label the Containers. I typically label my crockpot freezer meals with a Sharpie marker or fancy sticker label (like the type in my freezer cookbooks), but they don’t work well on plastic containers. After doing some research online, I bought these Sharpie pencils from Amazon, and they’re fantastic. I typically label my Instant Pot freezer meals with the name of the recipe and cooking instructions and it hasn’t smudged at all in the freezer. Now that I’m comfortable with my Instant Pot, I use it once a week for a quick dinner. 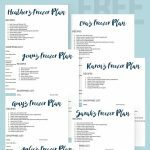 I even created an Instant Pot “cheat sheet” for my best-selling Complete Freezer Cooking Bundle. Instant Pot circle containers are small. I’m used to making crockpot freezer meals in gallon-sized freezer bags and 64oz containers are only half that size. 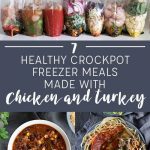 Some of my crockpot recipes fit and some don’t. If I run out of space, I add the ingredients that take time to prep (like veggies, measured sauces and spices, and meat) and omit ingredients that can be stored in the pantry and quickly added the day of cooking (like canned tomato sauce). Liquid is a must! Fresh meat and vegetables release a lot of liquid when cooking, so I don’t add a lot of liquid to my crockpot freezer meals. (For example, my super popular Cool Ranch Chicken Tacos are made with only oil, vinegar, and spices.) HOWEVER, Instant Pots require liquid to achieve pressure and cook the food. (Typically, at least a cup of liquid is needed.) Finding the right amount of liquid to achieve pressure but not dilute the flavor of the meal is a balancing act and I’m still adapting my recipes on a case-by-case basis. How to layer ingredients in the freezer containers. When I make crockpot freezer meals I layer vegetables at the bottom, sauces and spices in the middle (so they don’t get left in the bag), and meat at the top (so it’s the first ingredient dumped into the crockpot). Instant Pot meals works differently though because if the meat is at the bottom of the pot without any liquid it burns. (Don’t ask how many times I had to scrub burned food from the bottom of my Instant Pot with a steel wool pad. Grrr.) I think the best way to layer Instant Pot freezer meals is to put the meat at the bottom of the container (so you can smush it down and conserve space), veggies and spices in the middle, and sauce at the top so it’s dumped into the Instant Pot first. Instant Pot meals take longer to cook than people say they do. People love to brag about cooking chicken in eight minutes in an Instant Pot, but they never mention the time it takes to reach pressure before cooking or release pressure after cooking. I tried cooking my Instant Pot freezer meals at 5pm and we had to wait FOREVER for them to finish cooking. Gosh, we were so hungry and my daughter almost missed her Tae Kwon Do class one night! I think allotting 1-2 hours to cook Instant Pot freezer meals is perfect because if they finish cooking early they can sit on “warm” until they’re ready to eat – just like my crockpot dinners do. There’s a learning curve. Crockpot freezer meals are the easiest thing ever. Seriously. They’re fool-proof. It’s been much more difficult to master my Instant Pot. I burned meals, bought meats that were too fatty, didn’t add enough liquid, etc…..and was very frustrated at times. It worked out though and I’m confident these tips will help with your experiments. Hi Kelly,I clicked to download the instapot cheat sheet & nothing happened. Any other ideas? Your instant pot stirfries are written for ziplock bags, would they work in the round containers? Yes, but I would recommend smaller ones. The circle ones I typically use for instant pot meals would be more than half empty. 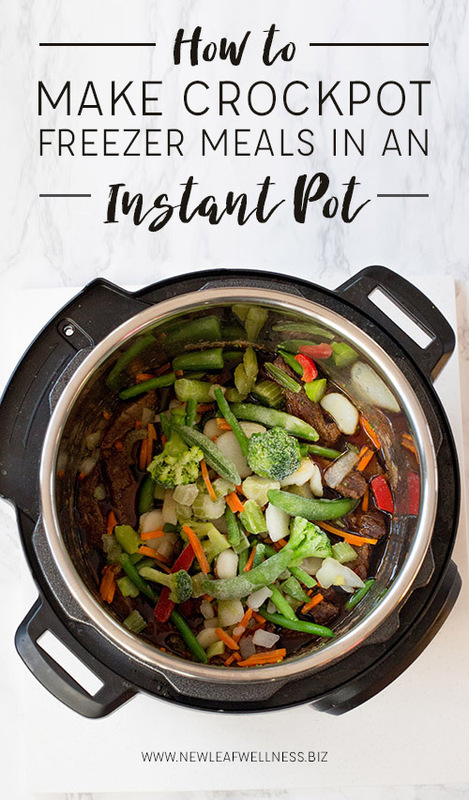 Have you had any success with the slow cooker feature on the instant pot? If so, any tips? I’ve heard a lot of people say it doesn’t work well, so I’ve been hesitant to try it. I don’t want to come home from work expecting dinner to be ready but it’s actually been sitting in the pot raw all day. I have the 6qt Instant Pot Ultra.